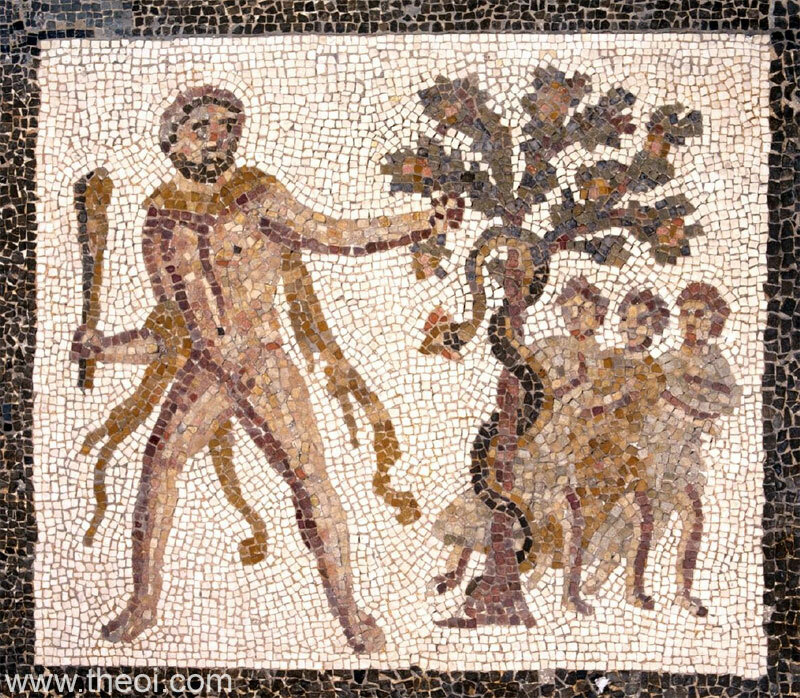 Heracles picks golden apples from the tree of the Hesperides. The serpentine Hesperian dragon is coiled around the trunk of the tree and the three Nymphs stands beside it. This scene is part of a larger mosaic depicting the Twelve Labours of the hero.